The Texas Criminal Justice Coalition has released a report calling on lawmakers to approve several bills that would increase supervision over the Texas Department of Criminal Justice, which oversees the state’s prisons. Citing potential cost savings to the state and a need to better protect the rights of inmates, a report released Tuesday is bolstering calls for an independent, external oversight board over the state’s prison system. The Texas Criminal Justice Coalition, which authored the report, is pushing lawmakers to approve several bills that would increase supervision over the Texas Department of Criminal Justice, which oversees the state’s prisons and has not been subject to oversight since 2002. “It should not be a hard sell,” said Ana Yáñez-Correa, the coalition's executive director. “We want to make sure they [the department] have the tools to succeed, but with money comes responsibility.” The report explains that this oversight would help TDCJ identify issues in its facilities "before they lead to expensive litigation, media scandals, or other human and fiscal costs." The coalition is asking lawmakers to pass House Bill 877 by state Rep. Alma Allen, D-Houston, which would develop an independent body with comprehensive oversight over TDCJ facilities. The group would regularly inspect facilities like prisons and state jails, and issue reports and policy recommendations. Although TDCJ does not comment on pending legislation, the department's executive director, Brad Livingston, told Allen last month that they already have a large network of officers who oversee conditions, and that the best way to ensure safer and more secure conditions would be to increase officer pay. The department is currently reviewed every 12 years by the Sunset Commission, a 12-member group consisting mostly of state legislators, and according to the report, the state earns $29 for every $1 spent on this review process. The report argues that more regular oversight would increase savings further. It also argues that the risk of abuse would drop with such oversight. “Whether as a result of being housed far away from family members and other social support systems, of being viewed as inherently ‘undeserving,’ of having limited education, or of being disproportionately afflicted with mental illnesses," the report states, "individuals in our state prisons are more at risk of mistreatment and abuse than almost any other segment of the Texas population." The report notes that 56 percent of corrections officers surveyed by the department in 2011 and 2012 "believed their overall work environment to be unsafe." The coalition is also pushing for HB 968,by state Rep. Sylvester Turner, D-Houston, which calls for TDCJ to compile a yearly report on grievances filed by inmates, and HB 1543, also by Allen, which would allows the current independent ombudsman for the Texas Juvenile Justice Department — an official tasked with "investigating, evaluating and securing the rights" of incarcerated youths — to visit with youths who have been sent to adult secure facilities. State Sen. John Whitmire, D-Houston, said a new oversight body is not needed, and that it would duplicate the supervision already conducted by the Texas Board of Criminal Justice, which is appointed by the governor, as well as various committees in the Legislature, including the Senate Criminal Justice Committee, which Whitmire chairs. More opposition will probably come as lawmakers consider the expense of such a new body, said Marc Levin, a policy analyst at the Texas Public Policy Foundation, a conservative think tank. "There's so much resistance to create another bureaucracy," he said. His organization has not taken a position on the bills, none of which yet have a "fiscal note" that would the costs of creating the oversight body. At the first meeting of the House Corrections Committee last month, Allen asked TDCJ head Livingston about oversight, saying that she had received complaints from constituents with family members in prison about the conduct of correctional officers. Livingston said that the department has a large network of officials overseeing individual officers. “I’m very proud of the way we handle those issues,” he said, adding that the best thing the Legislature can do to ensure the department hires “people we can be proud of as recruits” would be to raise the salaries of correctional officers to encourage them to stay. 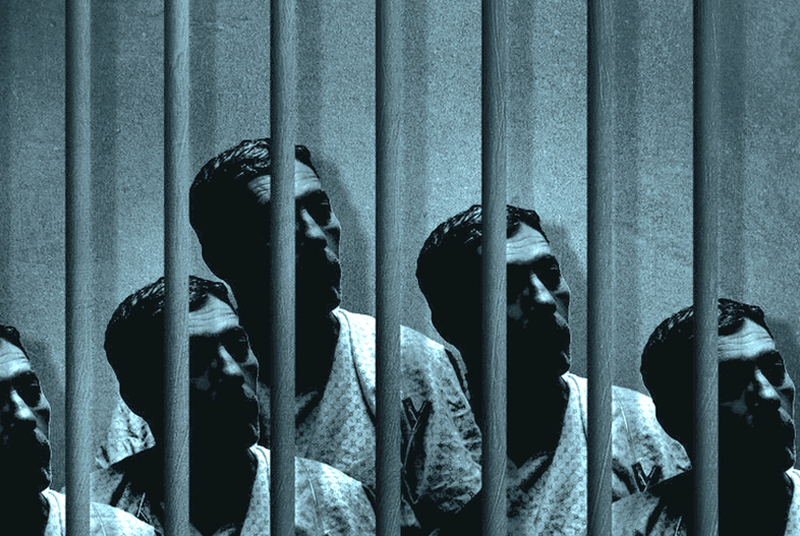 The Texas prison system operated without oversight until 1972, when an inmate named David Ruiz filed a lawsuit against the system alleging overcrowding, poor medical care and abuse of physical force by guards. The lawsuit became a class-action suit, Ruiz v. Estelle, and went to trial in 1978. Federal district Judge William Wayne Justice ruled that the conditions in Texas prisons violated the constitutional rights of inmates, leading to widespread reform, and his judgments found support from then-Comptroller Bob Bullock. The lawsuit exposed a "building tender" system in which some inmates were given the responsibilities of guards. The court sent investigators to inspect prison facilities and look into inmates’ complaints about facility conditions, maintaining oversight until 2002, when Justice, prison officials and lawyers signed a compromise agreement in which the department promised to address concerns over solitary confinement and the use of force by guards.